The company also sent me their VIP Airmouse Remote for improved control and DroidBOX Play gamepad for the gamers which I’ll be reviewing separately. 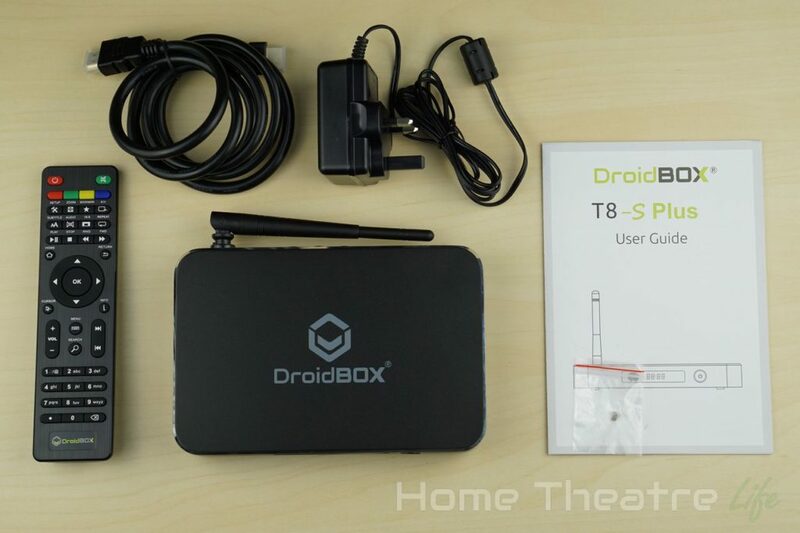 The DroidBOX T8-S Plus is a solid-feeling unit made entirely of metal. 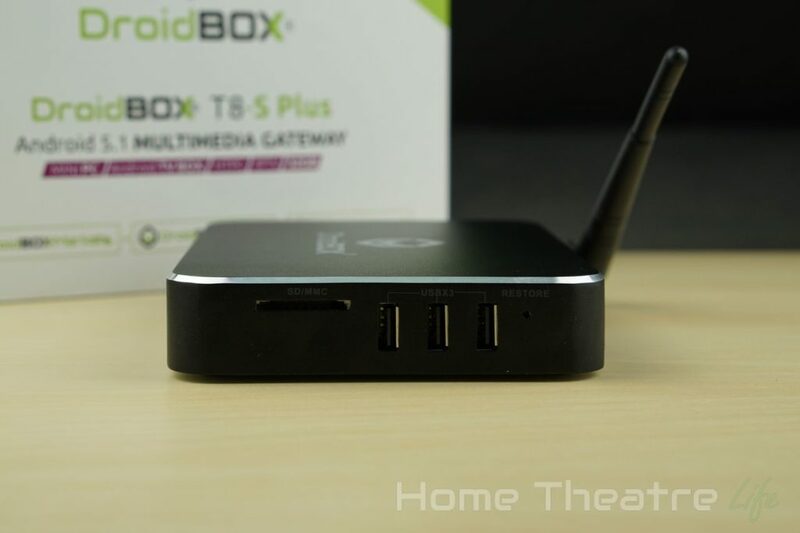 The design is very similar to that of the Zidoo X9 or HiMedia Q10. It’s an nice black metal box, with chamfered silver edges that looks elegant. The rear of the unit has the WiFi antenna, DC In, Ethernet, HDMI, Composite ports and optical audio. Flipping the unit over exposes the 2.5″ hard drive tray. After unscrewing the two screws, the tray slides or, exposing the unit’s internals. The actual hard done is held in place with 4 additional screws. Now, I had an issue with the unit not booting into Android after rebooting from OpenELEC. However, after wiping the SDD with my Windows PC and formatting it in OpenELEC, everything seems OK now. I checked around the web to see if anyone else had the same issue and didn’t find much so it’s seems to be rare. DroidBOX support were helpful getting the issue resolved though. Booting up the unit is done via the power button, with a cold boot taking around a minute. Standby isn’t supported so you’ll need to keep the unit on powered on all the time if you want it to always be available. 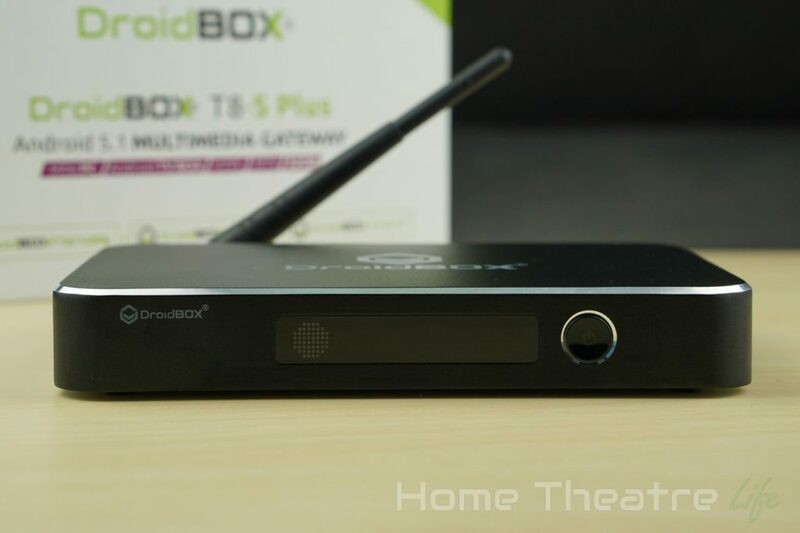 The DroidBOX T8-S Plus comes with a TV friendly launcher that reminds me of the one that ships with Probox’s devices. It uses square tiles that act solely as app shortcuts – no folders here. Harddrives installed in the 2.5″ bay can actually be used as internal storage, allowing you to install apps on it in addition to other multimedia. It’s an awesome feature and great for those who need lots of storage space for apps. It’s great to see over 100GB of free space on an Android device. 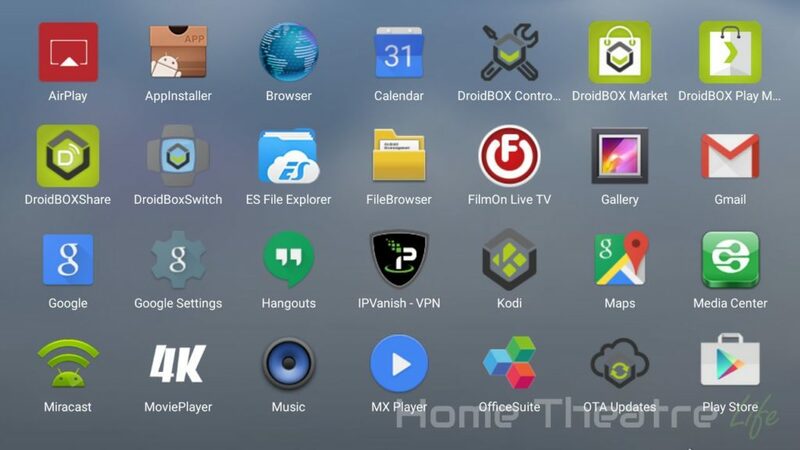 There’s a heap of pre-installed apps including FilmON Live TV, Skype, IPVanish and MX Player. 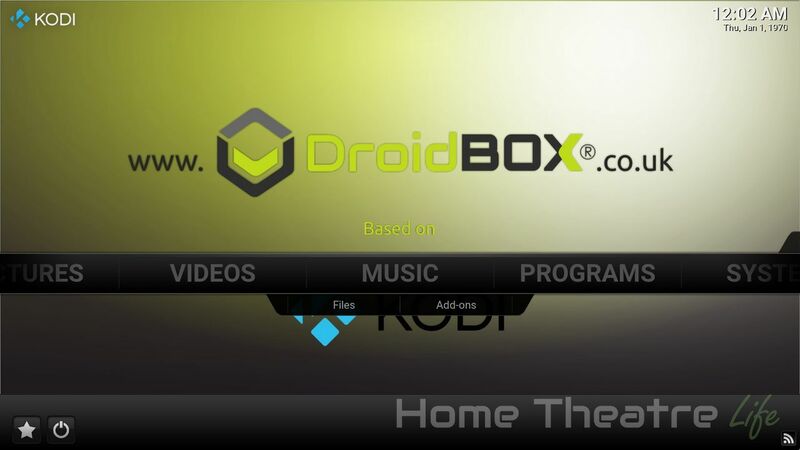 Droidbox have also packaged their own apps including Control (for getting help and fixing issues), Market (DroidBOX’s app store), DroidBOX Play Market (a dedicated store for games), DroixBOX Share for streaming media, DroidBOX Switch for switching to OpenELEC and their customised version of Kodi called DroidBOX Media Center. 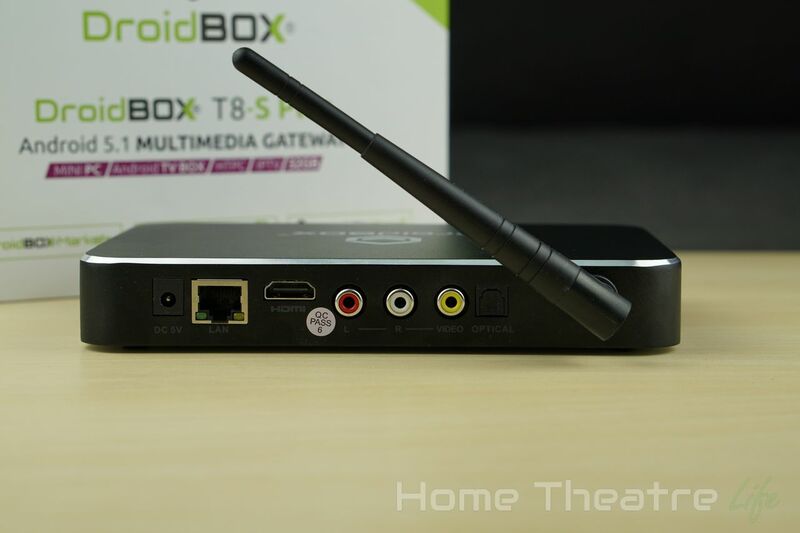 A quick multimedia test in DroidBOX Media Center was promising. 1080p24 H.264 and H.265 content played back fine. Automatic framerate switching also works after being enabled in Settings which is great, as few Android boxes actually support it. Wireless streaming was also good, streaming my 4K H.264 samples from my NFS share without any noticeable buffering. The Amlogic S812 has some decent gaming chops so I expected games to play pretty well. Riptide GP2 played well even on max settings, though the framerate dipped with lots of water movement or general action onscreen. 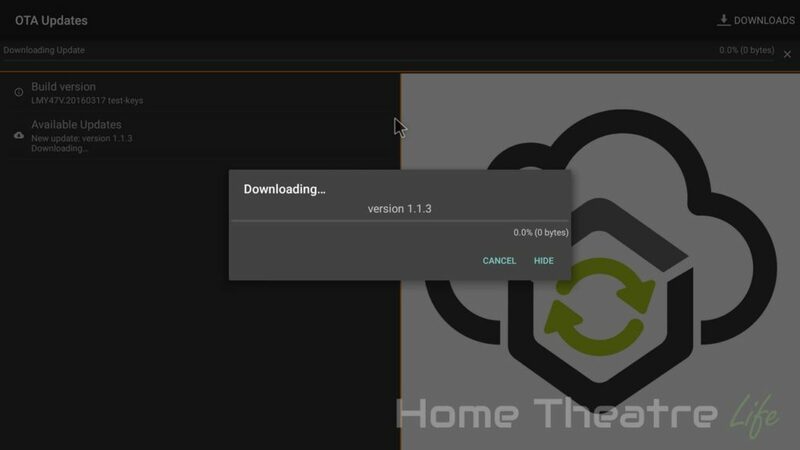 OTA updates are supported, with the company regularly releasing firmware updates that fix bugs and add features. OpenELEC is also pre-installed. 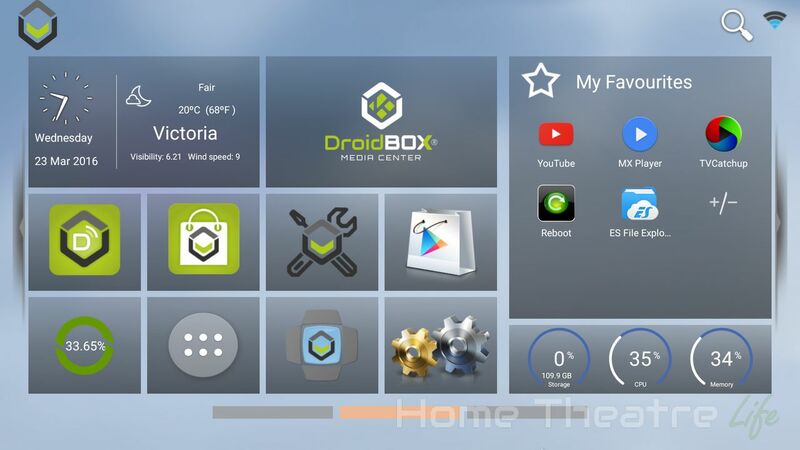 A quick click on the DroidBOX Switch app automatically boots the box into OpenELEC. 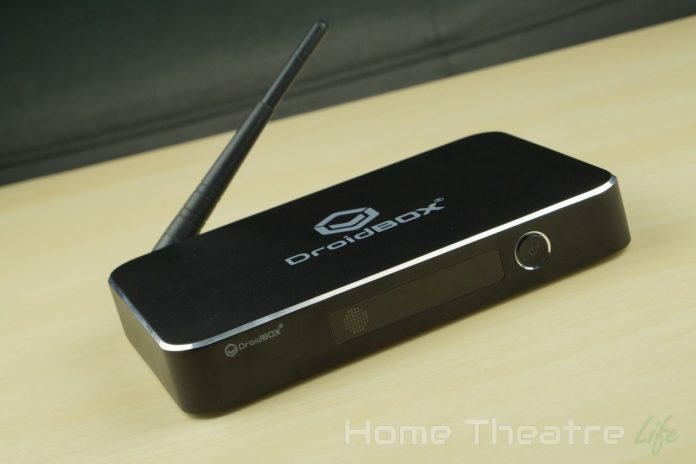 If you’ve used OpenELEC before you know what to expect: An appliance-like experience based around Kodi. I didn’t notice any obvious issues when I quickly played with it but will examine it in more detail when I do my full review. So far, I’m pretty happy with what I’ve seen with the DroidBOX T8-S Plus. Performance was good in my belief testing and DroidBOX’s customisations add real value. Keep posted for my full review in the coming days.